New Hampshire's governor says the shooting of House Majority Whip Steve Scalise has nothing to do with our current political climate. As reaction from Wednesday's shooting comes pouring in from lawmakers across New England, New Hampshire's governor says this incident has nothing to do with our current political climate. "It's just a pure, senseless act of a shooting," said Gov. Chris Sununu. "There's nothing political about that whatsoever." A gunman opened fire in Alexandria, Virginia, at a baseball field where a group of Republican congressmen were practicing for Thursday charity game. Sununu doesn't believe his party was a specific target. 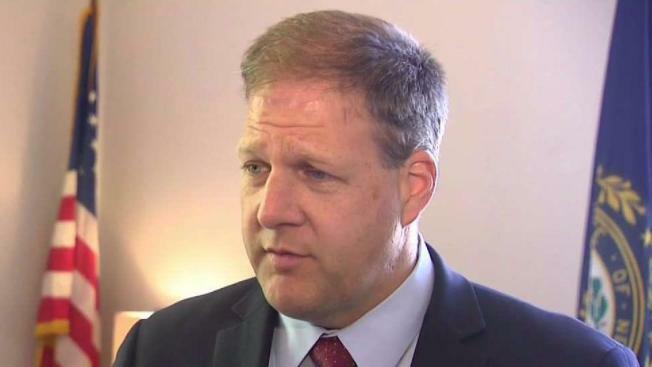 "There's been rumors like that swirling around, but nothing we are really thinking about right now," Sununu said. But a congressman who was there says the shooter appeared to be going after GOP lawmakers. "He asked me if this team was the Republican or Democrat team practicing, and I responded that it was a Republican team practicing, and he proceeded to shoot Republicans," said Rep. Jeff Duncan of South Carolina. Before heading into a Congressional briefing on the attack, Rep. Annie Kuster of New Hampshire spoke with NBC Boston over the phone. "First and foremost, we were all making sure our own staffs were safe and that this was isolated and that nobody else was threatened," the Democrat said. Kuster said the violence was a sort of wake-up call. She is calling on her colleagues to come together for a more united congress in the days ahead. "If this is, indeed, related to the vitriol in the political process, we need to all take a deep breath," Kuster said. "We can disagree on policy, but we really need to be working together for the American people." The rest of the New Hampshire delegation in Washington released statements Wednesday thanking the Capitol Police for their heroic actions and sending along their thoughts and prayers to the victims.